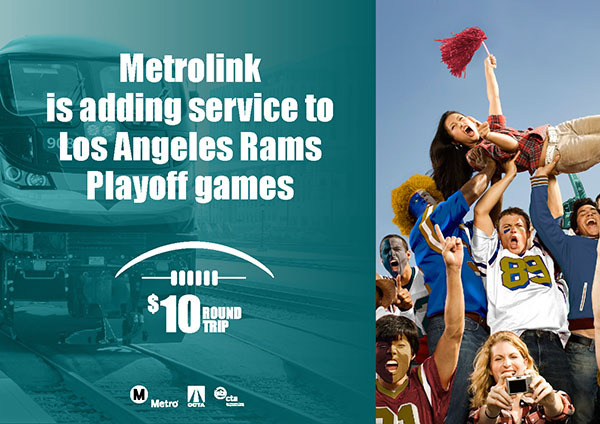 For fans heading to the Coliseum and Rose Bowl on game day, Go Metro. 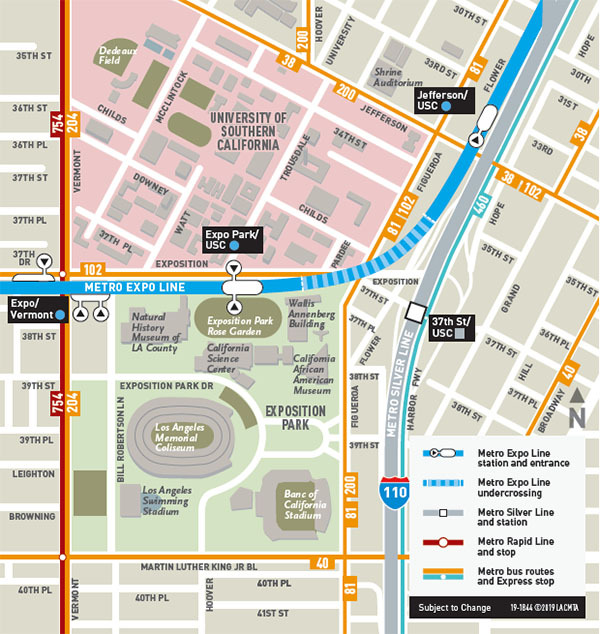 Metro’s bus and rail lines will help get you past the traffic and parking hassles and straight to the action. For a safer environment and speedier entry, both the Coliseum and Rose Bowl have enacted a new clear bag policy. Fans are advised not to bring bags unless outlined as a permissible size and material. Approved examples are a clear tote, small clutch or clear bag. For details, visit nfl.com/allclear .